It's tough to walk into my kitchen when it's a million degrees (ok 81 on our thermostat - inside), and think about turning on the oven. 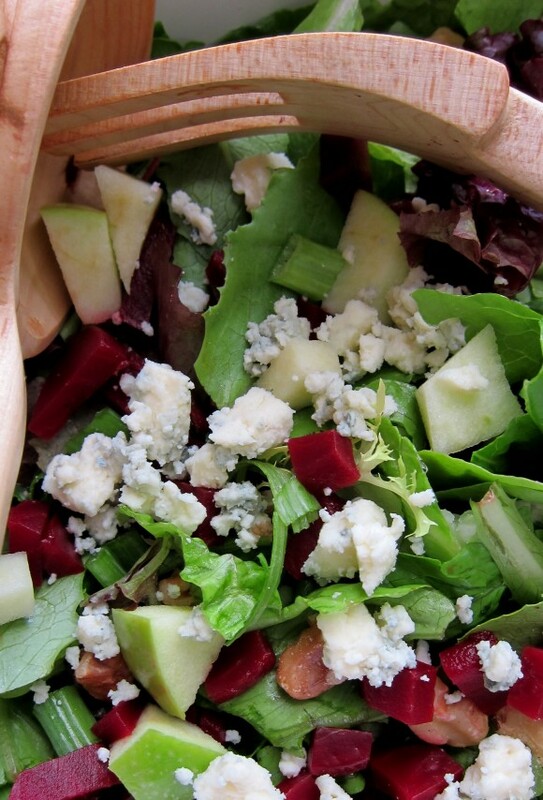 I love salads anytime, but they are especially good on sweltering summer evenings. Here are some of my faves. 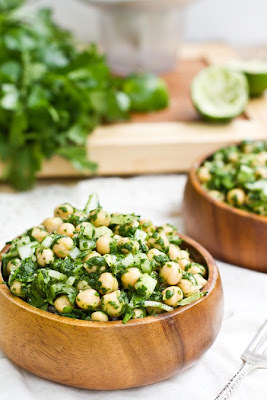 I've made several varieties of chickpea salads, and they always turn out well. An easy one I threw together a couple nights ago was: 1 can of chickpeas (rinsed), feta cheese, cucumbers, olive oil, lemon juice, oregano, and a splash of balsamic vinegar. I tossed it all together, added some salt & pepper, and let it sit in the fridge for a couple of hours. Delish! Blue cheese and beets are two of my favourite foods, so I try to add them to any salad. Sometimes I'll just roast beets on their own, and drizzle some balsamic vinegar over them while warm. I saw this delicious dip on the blog A Lovely Mist. I served it at Sorens First Birthday Party and it was a big hit. 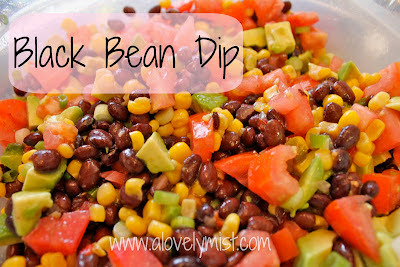 It worked well as a dip, but it could also double as a side salad, especially for a Mexican themed dinner.